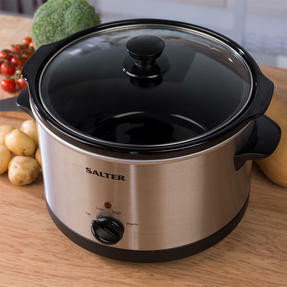 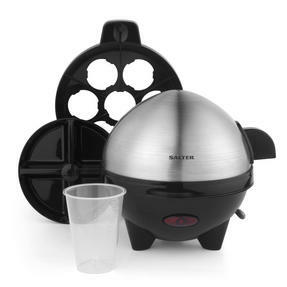 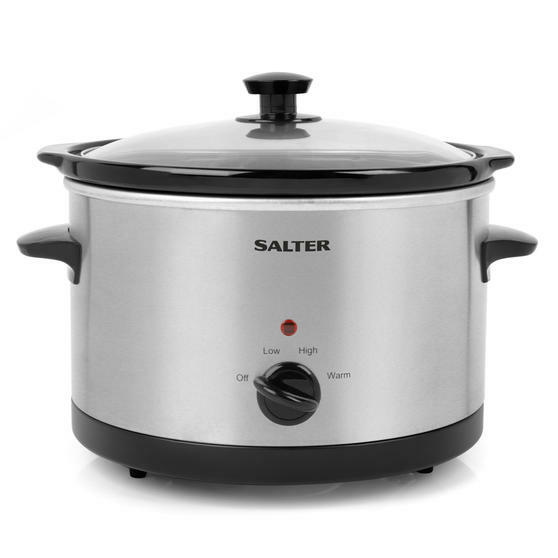 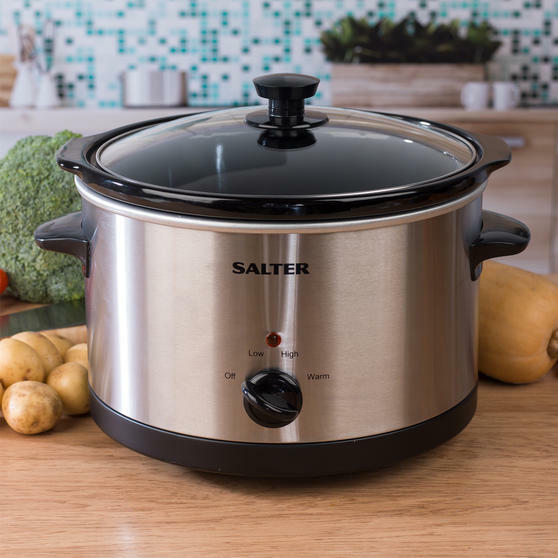 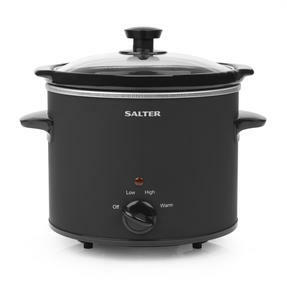 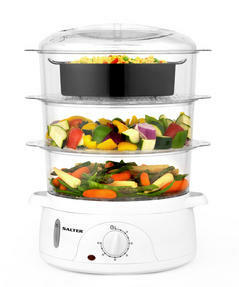 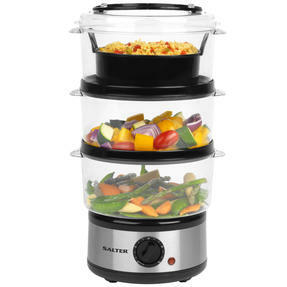 Make delicious stews, soups, casseroles and even desserts all in this wonderfully multifunctional slow cooker from Salter. 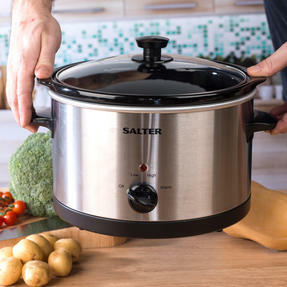 With a 5.5 litre capacity, the cooker is ideal for preparing large family meals and cool touch handles make it easily manoeuvrable. 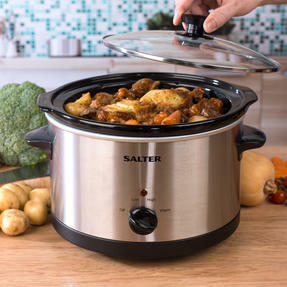 Featuring three adjustable heat settings, low, warm and high this slow cooker makes it simple to stew your meals or to heat them before serving. 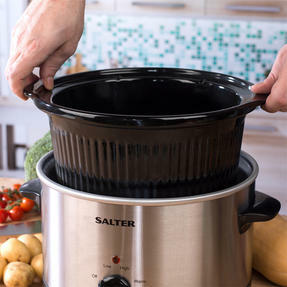 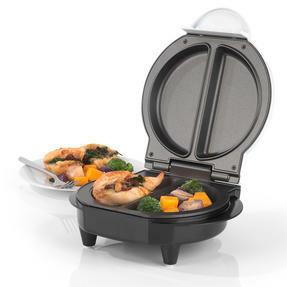 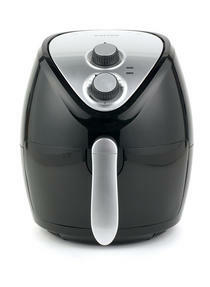 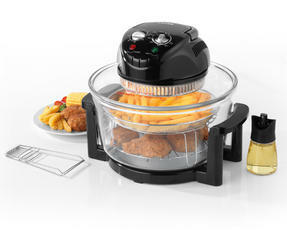 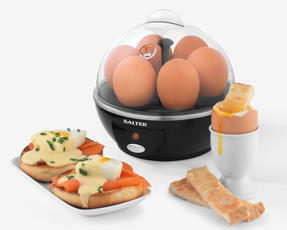 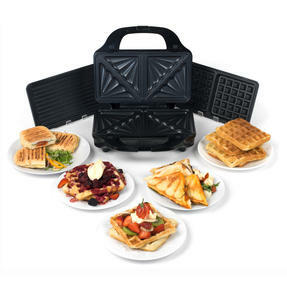 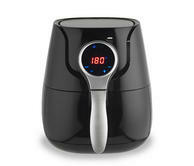 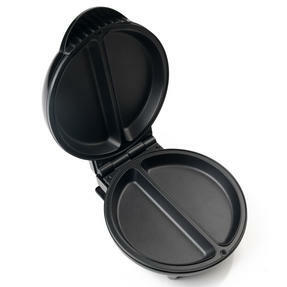 Designed for cooking great meals without hassle, jut remove the ceramic pot after use to clean. Ensure you can fit cooking nutritious meals into your busy schedule with this wonderfully easy to use Salter slow cooker. 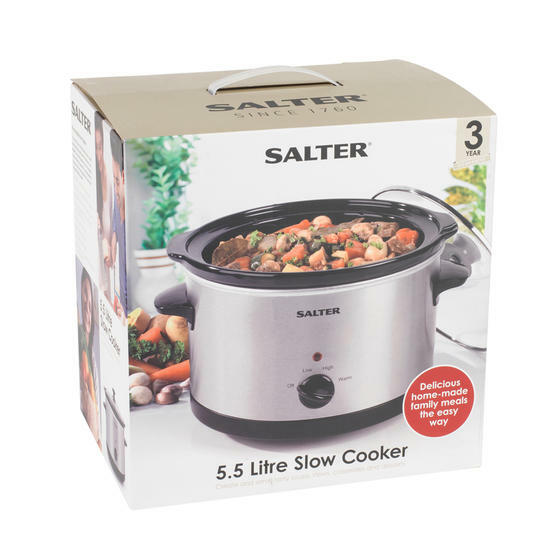 An ideal size for family cooking, it has a 5.5 litre capacity and a removable ceramic pot so you can clean easily after use. 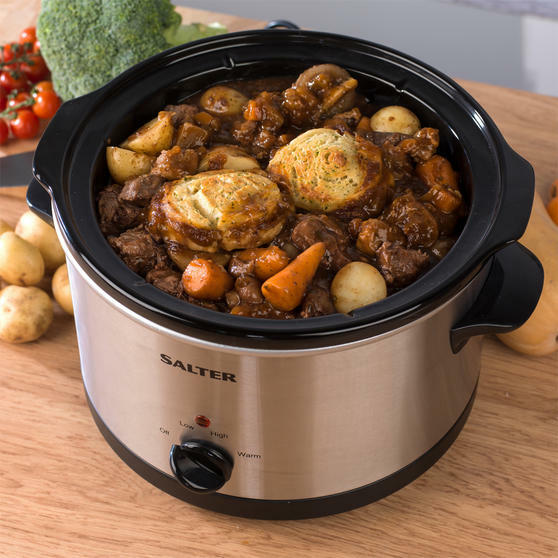 The cooker has three settings giving you effortless control, you can leave food on low throughout the day for wonderful flavour. A wonderful addition for any busy home cook, it is ideal for making stews, casseroles and more without interrupting your schedule. 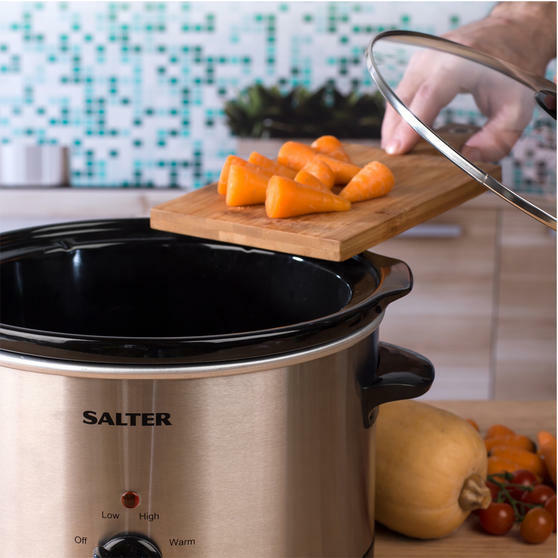 With over 250 years of British design and innovation, Salter continue to make great products to enhance your everyday lifestyle.